PaleoAdventures is one of the highest rates tours in the Black Hills, and for good reason; on these tours, guests learn paleontology dig techniques and then participate in a real fossil dig! 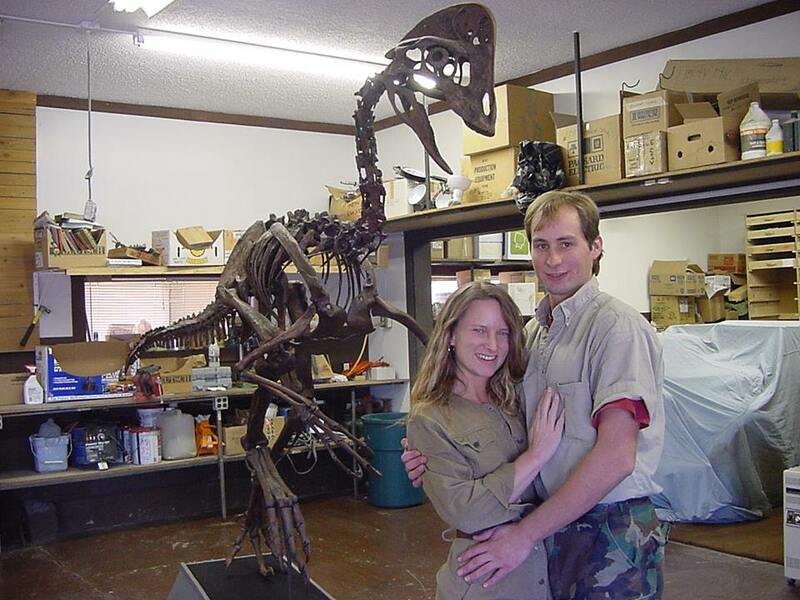 PaleoAdventures began in 2005 when Paleontologist Walter Stein and wife Heather wanted to dig for fossils and teach others about dinosaurs. They have grown their business and now offer these fully immersive tours. “Our trips are great for anyone with a serious interest in paleontology. Most of our guests are families with one or two kids who are considering Paleontology as a possible career path. Guest should be in good physical condition and able to handle hiking and working in the extreme temperatures and South Dakota wind,” said Walter. The tour begins in the morning with an orientation at the summer field station. Guests are shown the lab and are instructed about the collections policy. After that, the gear is packed into the SUV and they are driven to a private, top secret quarry in northern Butte County. Along the way, the guides answer any dinosaur questions guests have, point out some of the cool old west history of Belle Fourche, and talk about the geology and paleontology of the area. Once arriving at the dig site, guests are trained on how to dig and once they the techniques down, they are turned loose in the quarry to dig under guides’ close supervision. Guests will not leave empty-handed as they can keep any common fossils they find. Commercial fossils must be purchased for an extra fee if they wish; scientific fossils are reserved for museums and universities only. Trips generally last from 8 a.m. to about 8 p.m. These trips are the real deal–not brushing sand off of plastic or planted bones. These adventurous guests have an opportunity to find many scientifically significant fossils while exploring the quarries of Butte County. This adventure is rated very highly on TripAdvisor, with over 97% of the 28 reviews reporting it as “excellent” with five stars. Like the five star reviews, the only four star review had only positive things to say! Reviews rave about making another trip to South Dakota specifically for this tour, the experience being exactly what a professional paleontologist would do in the field, and it being the best excursion of any trip they have taken. PaleoAdventures is a uniquely authentic South Dakota experience that will make you want to become a paleontologist–or at least sign up for another tour.